This is a godsend for beginners and everybody else who's afraid of or tired of overapplying their bronzer! The formula is so fine and smooth to the point where it's hardly possible to overapply it even if you go ham in ten layers. The shimmer or better yet sheen is super sophisticated (for lack of a better word). It doesn't make you look glowy, it makes you look radiant. It's my first non-matte bronzer, and I'm glad I chose this over the Hourglass one because (based on online swatches) the sheen seems to be way more subtle and exactly what I was looking for. I got it in the lightest shade, but I could (should) have gone for a deeper one for my NC20 skin tone. I would recommend the lightest shade for the 5-10 skin tone range aka only if you're super pale. The packaging is nice and sturdy, and the mirror is larger and better than I would have expected. All in all, so far it has been one of the top finds in a long, long time! I am kicking myself on this purchase. I should have stuck to the all over warmth loose powder, which I normally use (it's far better for my dehydrated skin and slightly cheaper too). Thought a compact might be easier for on the go make up. The powder has a lot of glitter and feels a lot more drying than the loose powder. Also, annoyingly, I bought it in medium as I was worried tan would be too dark and it's barely noticeable on my not particularly dark skin. I am not tanned or olive toned - would actually consider myself relatively pretty pale skinned. I'd compare this bronzer to something you could buy on the high street for under a fiver. Disappointed bareMinerals. You might like this product if you are very pale skinned, don't struggle with dry skin and want the brand rather than a less expensive option. Hope this helps people choose the right product for their skin. Invisible Bronze is quickly becoming one of my favourite make up products. I bought the Tan shade, which is perfect for my olive skin. It gives me an effortless sun-kissed look and it's buildable as well, so it really helps when my skin is actually a bit tanned. Highly recommended! This is such a natural bronzer! I am around NC10/Y215, and use the lightest shade. It is absolutely perfect. Does not look like I'm wearing bronzer, I just look healthy. So gonna repurchase! I absolutely love this bronzer! I am a light to medium skin-tone (NC20) and I was in between the colours medium and tan. I chose the lightest one to go with just to play it safe. It is perfect! It is not too much, nothing you should be afraid of using, that is going to look muddy or dirty. It gives a sun-kissed glow to your skin, it blends smoothly and the powder is super super soft! I bought it as a gift to my sister as well! I would totally recommend this! p.s. the bronzer I used to used before this was hoola by benefit. I can use this without an issue - just to give a reference for my skin tone. This is my first bronzer and I found it super natural on my pale skin. 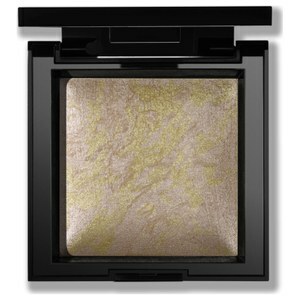 The glittering effect is subtle that suitable for workdays.The particles are fine and smooth. The baked format can effectively avoid taking excessive bronzer. This item is my best buy in this summer. 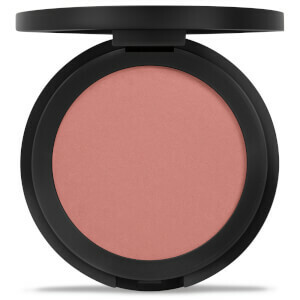 This is a wonderful bronzer that doubles up as a contour powder. It works beautifully on fair skin and the shade isn't too orange nor does it appear muddy on the skin. 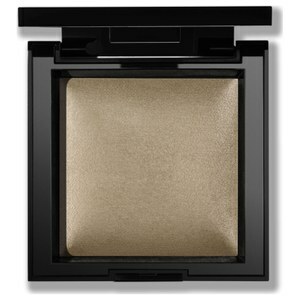 The shimmer is mild which makes it great for a contour powder and it blends well with a good brush. 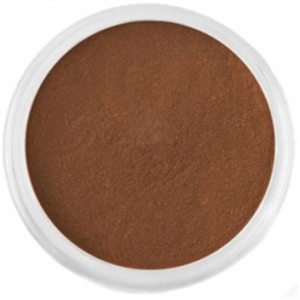 The bronzer warms the skin up nicely and the ingredients are perfect for sensitive skin, unlike most cosmetics, this powder doesn't have dimethicone which causes my skin to itch. Absolutely love this!